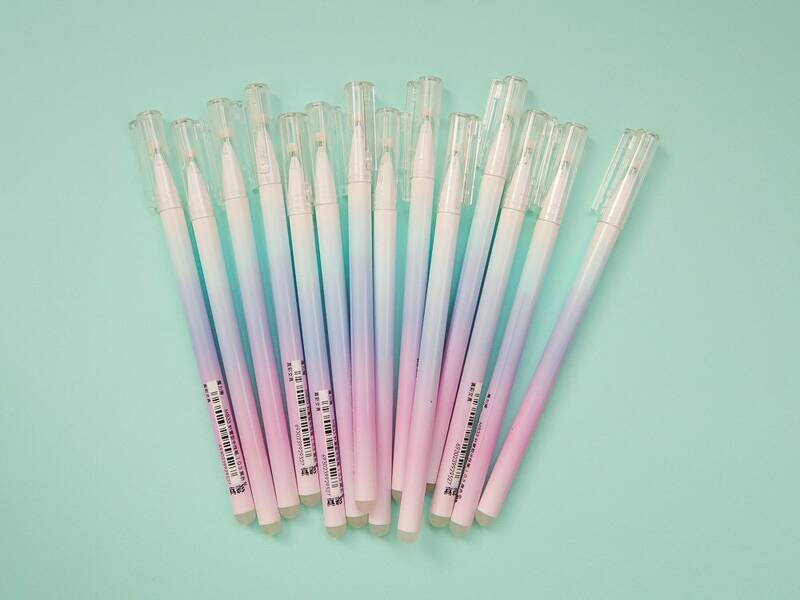 These pretty pastel pens with an ombre fade are my new favourites! The barrell is super slim and lovely to hold. And the ink is ERASABLE! 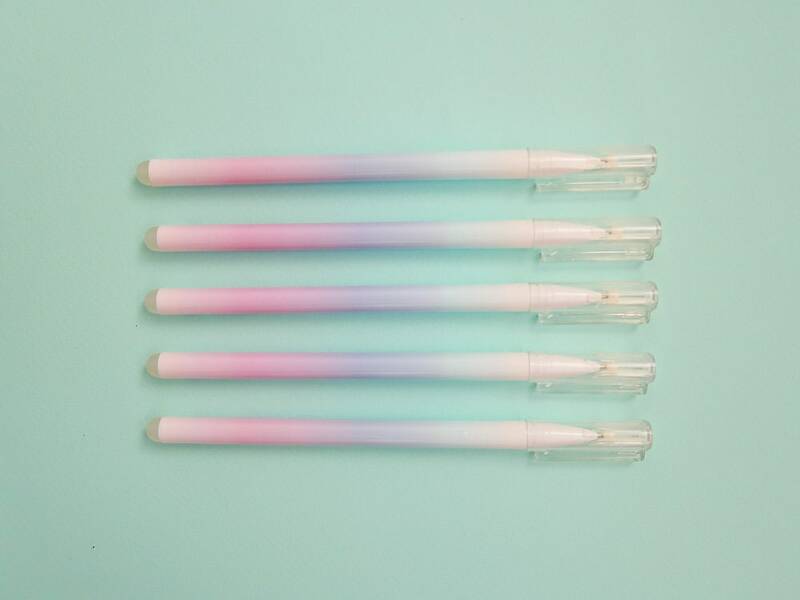 The ink is frixion erasable- each pen comes with its own frixion eraser on the end. Japanese imports perfect for bullet journalling as the ink sits on the surface of the page and won't bleed through. Dries quickly to a matt dark blue finish. 0.38mm line width - excellent for every day usage. 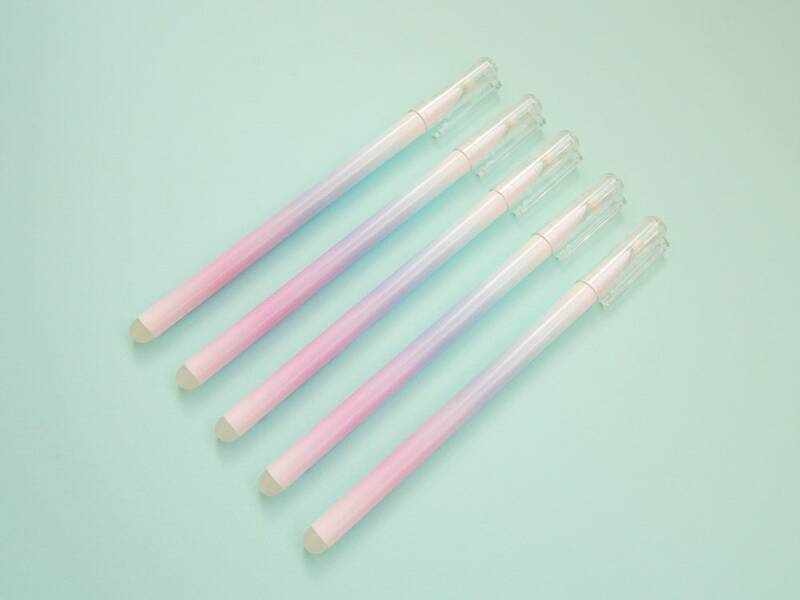 This listing is for one pen. 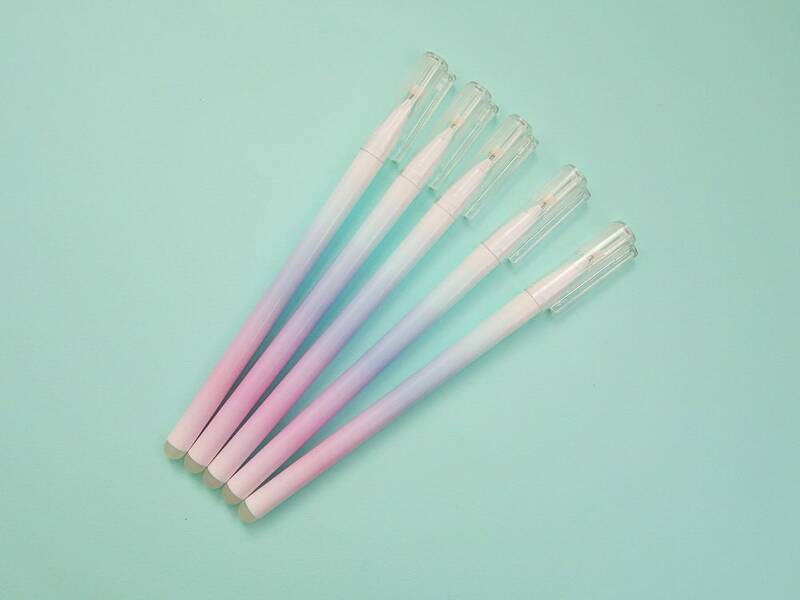 Bought for my 14 year old daughter, she absolutely loves them! This is my new favourite pen! !